The ALDS Website (alds.com) is owned and operated by Tiger Leasing Ltd (dba ALDS). We are a family owned and operated Canadian company. All sales, deliveries, returns and customer support via this website are handled directly by the ALDS staff in our own ALDS warehouse. All products sold come with the standard manufacturer’s warranty. Please see below for further detailed information. 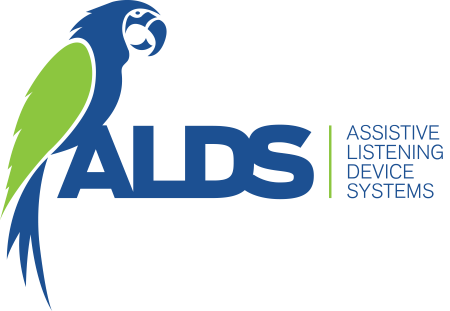 ALDS is your on-line supplier of products for the hearing and speech impaired. Our focus is on amplified listening products, alerting systems, and special needs communication systems. We maintain a comprehensive inventory of Amplified Telephones, Alerting Systems, Remote Control Speakerphones for Independent Communications, FM, Infrared & Loop systems, Vibrating Alarm Clocks, Vibrating Watches, Voice Amplifiers, PSAP’s, Sound Maskers, and Hearing Aid Conditioners. ALDS Canada offers refunds rather than exchanges. That way you can re-order any new product that you want, and at any time you want. * Please note, the original product box should be enclosed in another bag/box before returning, as to preserve the quality of the original packaging. You may re-use the packing bag from the original shipment, or another form of packaging (plastic, paper, etc. ), so long as it adequately protects the original product box or package. Packages returned with shipping labels or tape attached directly to the product display/retail packaging will be denied and credit will not be issued. We only accept returns on items purchased from the ALDS Canada website. If our warehouse is unable to accept your return, the merchandise will be returned to you without credit being given. In order for a refund to be made, the products returned must be in perfect re-sellable condition. Please make certain to send your return via a prepaid method and use a service that employs a tracking number system. Make sure to enclose a copy of your invoice, full name and email. Once we receive your return and the products have passed inspection, a full refund will be issued within 5 business days (excluding shipping costs). If applicable an exchange can be made for a different product, please contact our customer service desk to discuss exchange options before sending your new goods back. If for any reason an item fails within the manufacturer’s warranty period, please contact ALDS to obtain a return goods authorization number and return form. Retuning items should be sent back only to our warehouse freight pre-paid. It is advisable that items are shipping with tracking and included in the package copy of your original invoice. Your item if applicable and eligible for warranty will be replaced with a new product of the same item. The new replacement product will be sent back to you freight prepaid by the preferred ALDS method of shipping.